SALISBURY — Magic was in the air for students at Overton Elementary School on Monday afternoon. Teachers and administrators wore pajamas, Santa was comfortably seated in front of the gym and the Polar Express conductor punched tickets for every student to enter. The air was electric by the time Robert Jones finished reading the story and highlighting thoughts of the first gift of Christmas. Principal Candice Austin quieted the kids — no small task as their interest centered on what was behind the stage curtains. JON C. LAKEY / SALISBURY POST Overton 5th Graders Aleiah Martin and Ebbie Lescoe help hand out the hundreds of gift boxes for the students. 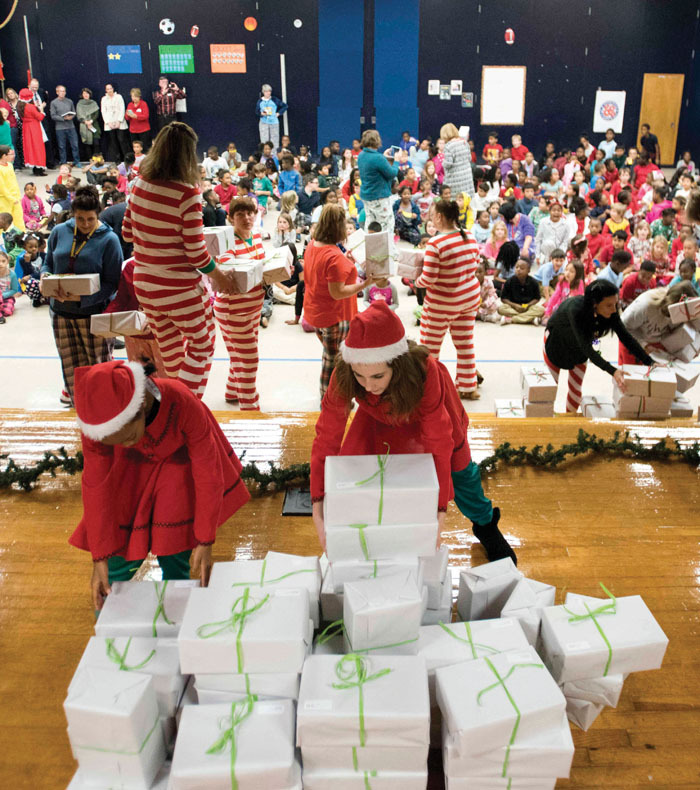 The entire student body at Overton Elementary school in Salisbury was on the receiving end of Christmas gift from an anonymous donor on Monday afternoon. The donor funded a new pair of tennis shoes for students through local shoe retailer Ralph Baker Shoes in Salisbury. Monday, December 11, 2017, in Salisbury, N.C. The curtains parted to reveal stacks of gift-wrapped boxes behind her. 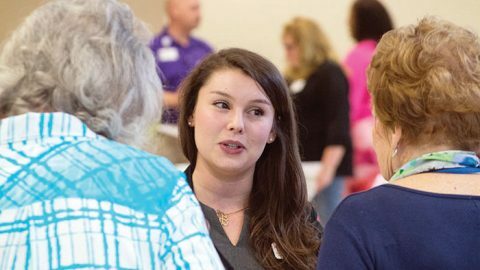 With the help of teachers, volunteers and Knox Middle School students, each Overton student was presented with a box that looked like — well, they couldn’t tell exactly what it was. 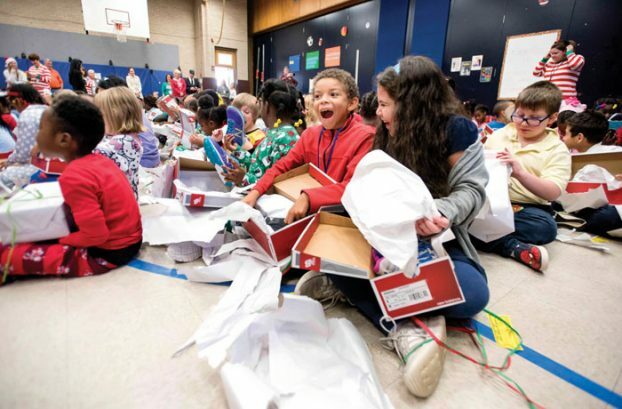 Austin gave the go-ahead for kids to unwrap their boxes, and each student found a brand new pair of New Balance running shoes inside. 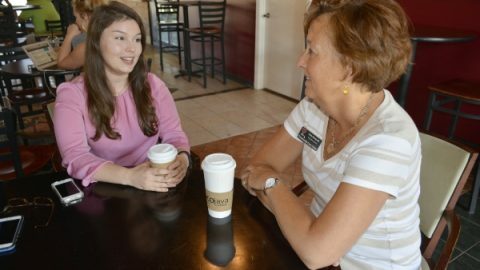 About a year ago, Communities in School representative Fran Lescoe wanted to do something special for the kids at Overton. Her plan came together in the past five months. 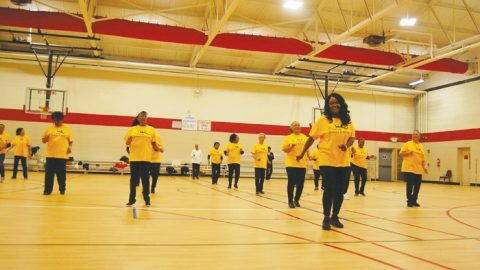 A generous donor, with the help of Ralph Baker Jr. at Ralph Baker Shoes and many volunteer hours by Lescoe and others, brought the dream to fruition. 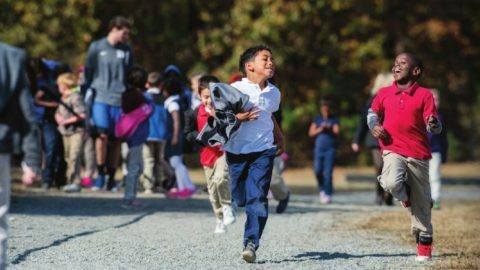 The Daily Mile program requires all students and staff members at participating elementary schools to spend 15 minutes a day either walking or running. The goal is a minimum of a mile a day. Overton Elementary teachers use the Knox track for those workouts. “Now the kids will all have new shoes, much safer and better than what they had before,” said Lescoe, a runner herself. Austin noted that more than 70% of Overton students live at the poverty level, and all of them qualify for free breakfast and lunch. “We had about 12 volunteers wrapping these boxes for five to six hours while it snowed outside,” Austin said. Clear Wesley, a fourth-grader, was excited about her new shoes. While a few students were not sure about the fit, Ralph Baker Jr. had extra shoes on hand and worked to get everyone in the right shoes. Lescoe and a few others had measured each child’s feet earlier, just before the shoes were ordered. “When I got to the school with the second load, there was a group there to help and my understanding is that they were wrapping each box. Wow! Today I’m here to make sure we have them all fitted correctly,” Baker said. “As for the party that funded this, I’ve never directly seen a more charitable act. I hope this brings a lot of joy to the kids, and I’m sure they were surprised,” he added. 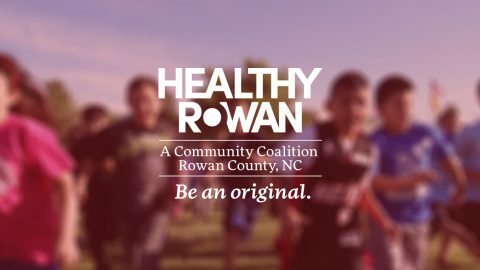 Others involved in the project were the Crosby Scholars, Dunkin’ Donuts, Susan and Buzz Curlett, Wanda Rainey, Communities in Schools, Libby Fowler, Jennifer Sheppard, Food Lion and the characters from the Polar Express at the N.C. Transportation Museum. View The Salisbury Post article.